The Georgia State University – J. Mack Robinson College of Business has recently announced the launch of two new dual degree programs in Fall 2016: a joint M.S. in Analytics and M.S. in Mathematical Risk Management and a joint M.S. in Analytics and Master of Actuarial Science. 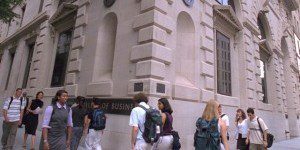 The launch of these new programs will mark the first time a North American university has formally combined the fields of data science with actuarial science and data science with financial engineering. Furthermore, the new dual degree will add only one semester to the preexisting three-semester programs. According to Robinson College Dean Richard Phillips, the new programs are a response to the emerging need in the market for professionals who can apply both economic and mathematical modeling to the financial services industry. Conversely, students who are primarily interested in finance can gain data science skills that are highly valued by today’s employers. It is clear that the need for skilled professionals in these fields is needed. According to research by McKinsey & Company, today’s numbers would suggest a 50 to 60 percent shortage of analytic talent in the United States by 2018. In 2015, Careercast.com sited actuary as the top job of the year, although an Accenture survey revealed 41% of respondents believe lack of talent is the biggest obstacle to implementing big data strategy. Today, Robinson College is the only Center for Actuarial Excellence in the Southeast, with a mathematical risk management program accredited by the Professional Risk Managers Association. Moreover, the U.S. News & World Report has consistently ranked Robinson’s computer information systems and risk management and insurance departments among the top 10 in the country.